Learn how to make these delicious Portuguese fried lemon dreams (sonhos de limao). In a pot, put the water, margarine and cinnamon stick. Bring to a boil and let it simmer for a bit. Remove the cinnamon stick and add the lemon zest. Add the flour, stir well until forming a ball and remove from the heat. Place the dough in another container and let it cool. Once cool, add the eggs one by one knead/mix very well between each egg. 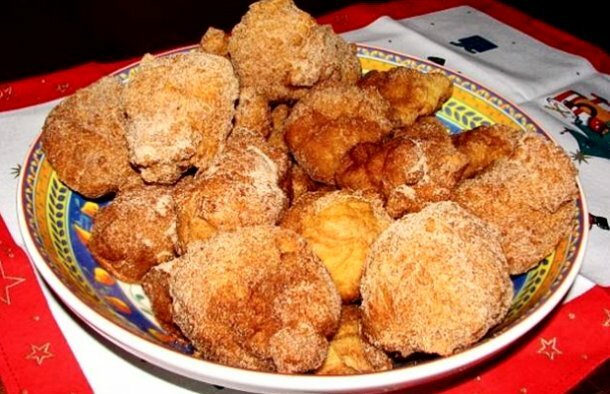 After frying, sprinkle them with sugar and cinnamon to taste.